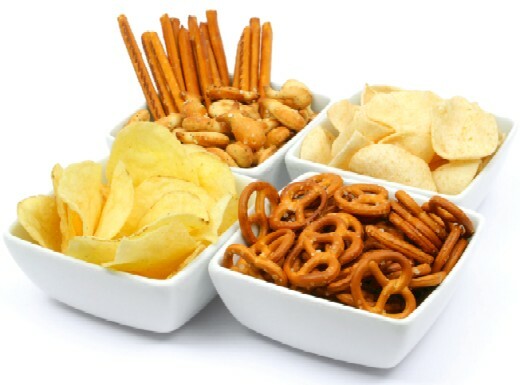 The food industry today can be represented in 4 categories in the market. One of such categories is the “Ready to eat” food which is most popular than the others such as : Staple Food, Snack Food and Confectioneries. 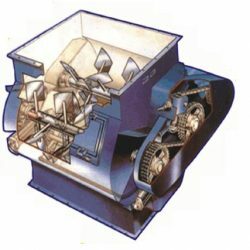 The inherent design feature of the Mixer supremacy meets the proper mixing, moisturization and shortening effect requirement for manufacturing ready to eat foods. High degree homogeneous dry mixing of starch based materials such as wheat, cornflour, potato with small proportion of flavours, fibers and nucleating agent can be achieved effectively by means of the basic configuration of twin paddle mixing operation feature of this Mixer. The liquid shortening agent addition and moisture distribution to each and every particle of the dry blend material can be achieved with the manifold spray setup provisions in the mixer. Also the special accessory provision Flow Distortion Bar and Pin Mill System can help to enhance better moisture absorbing characteristic of the ingredients and also facilitate for the penetration of moisture in each and every particle. The proper mixing and conditioning achievement for the ready to eat food preparation can be ensured by Toshniwal Mixer to meet the extrusion process demand, also assured for the product superior in quality, consistency and improvement in productivity for manufacturing ready to eat snack foods.